​Teachers, upload your STEM lessons here! 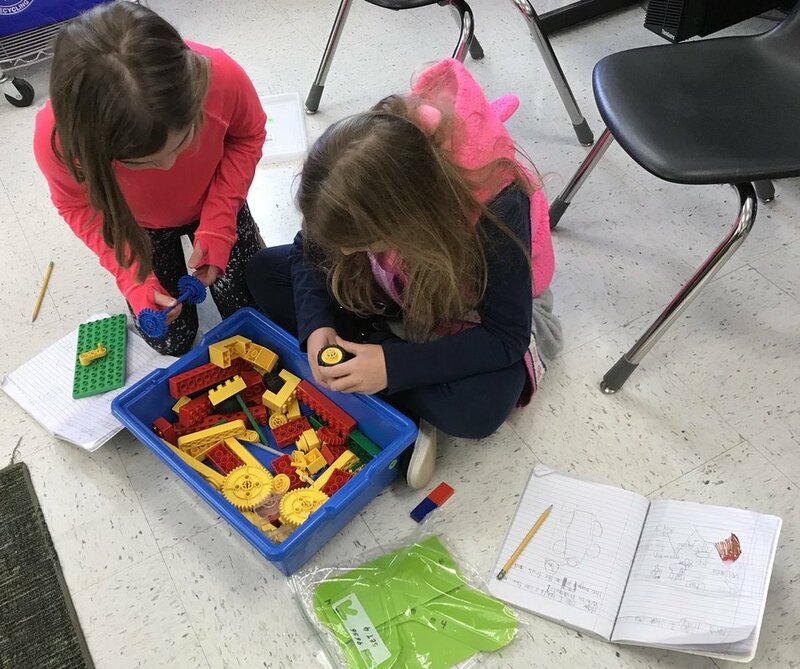 "​Third graders practice their coding skills by creating a maze using Lego. Using pre-printed coding steps, they created directions for maneuvering through the maze from start to end." 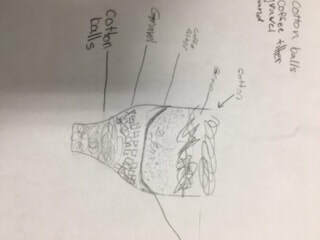 A video of 3rd grade students planning the water source and usage for their PBL units. 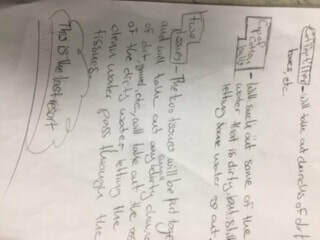 Our Aqua Adventure project through First Lego League is being tied into the PBL. "Students created phases of the moon using Oreo cookies." 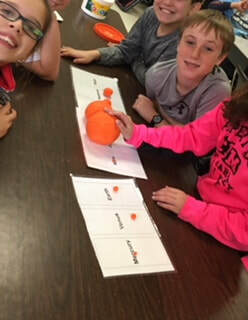 "Fernbank lesson: Students are using Play Doh to create relative sizes of planets." 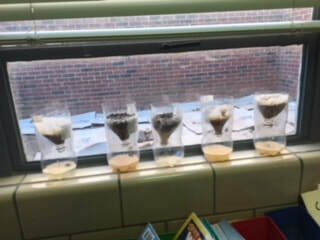 "Students designed and created models for water filtration using different materials." How do we get dirty water clean? This is related to our current PBL about Rebuilding after Disasters, Hurricane Maria has caused a clean water shortage in Puerto Rico. 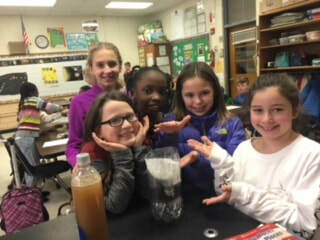 Students worked alone and then in collaborative groups to develop a water filter that would clean dirty water. We revisited and made improvements after creating our models." "Students use legos and magnets to make a car that moves without being touched." 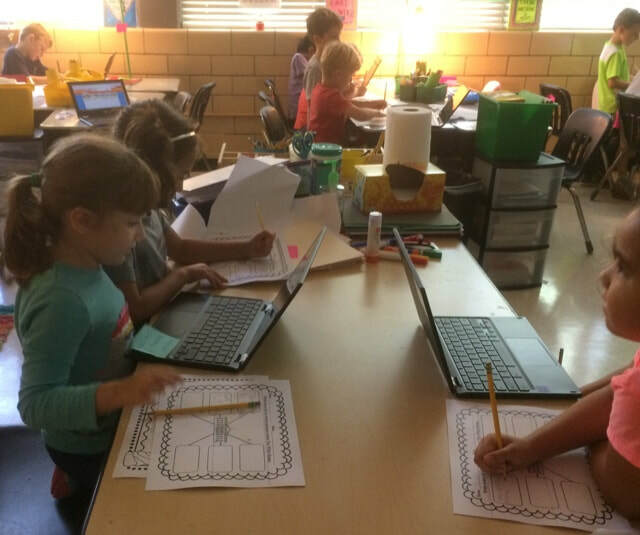 "Students use chromebooks for hour of code." 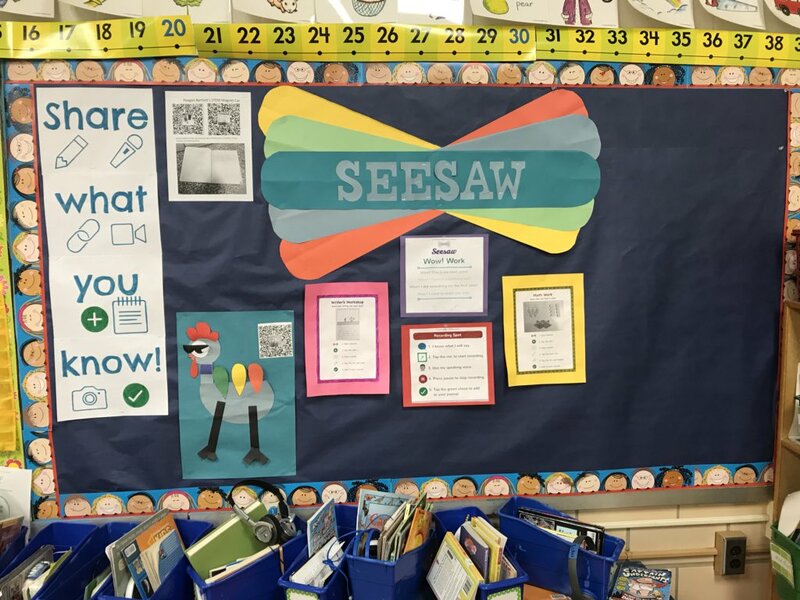 "Seesaw Bulletin board for exemplar student work to be posted with QR codes, examples of activities and directions." 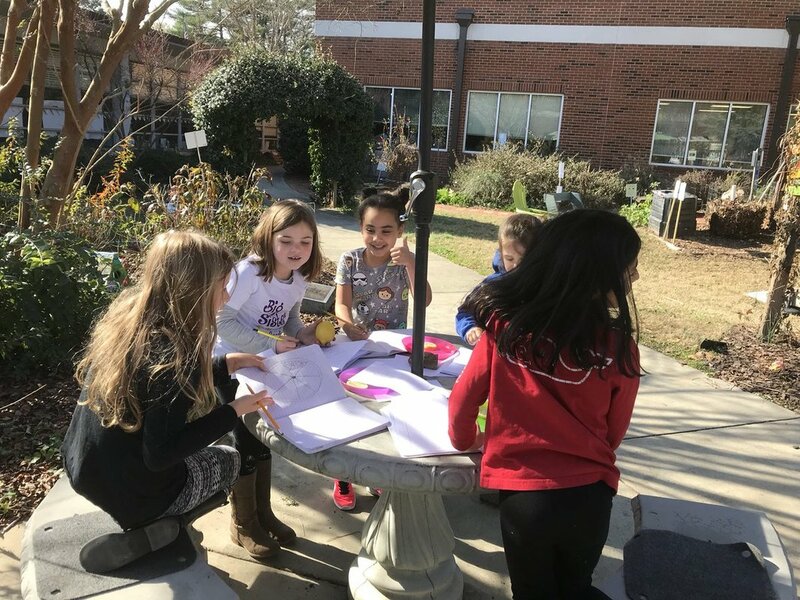 "Students in the outdoor garden learn about the scientific observation drawings of Lewis and Clark, then draw scientifically themselves." 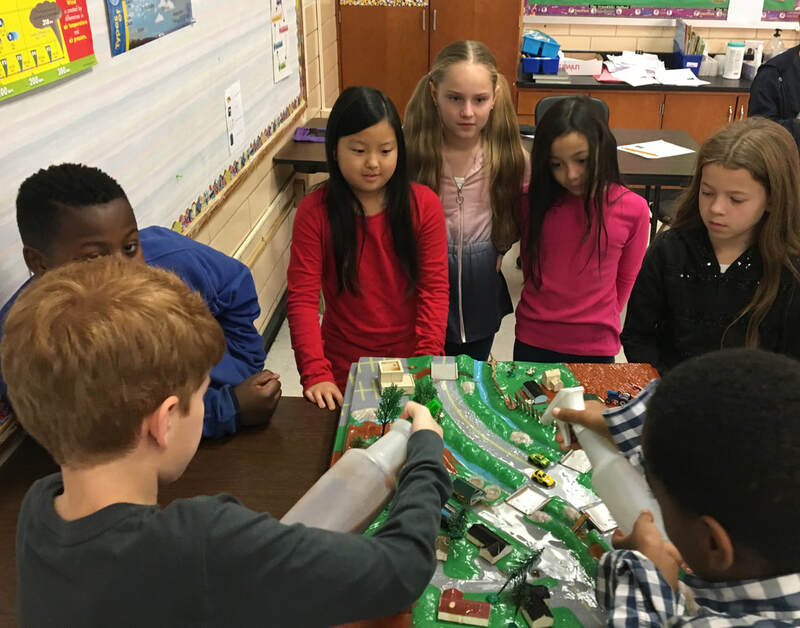 "We used a watershed model with this interactive activity to understand the impact people have on our clean water." 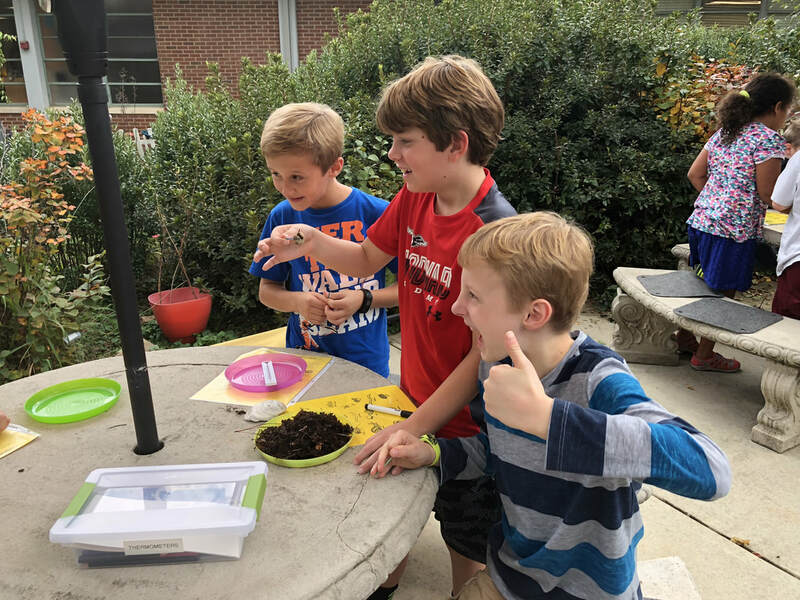 ​"3rd grade did a compost critter lesson in the Learning Garden." 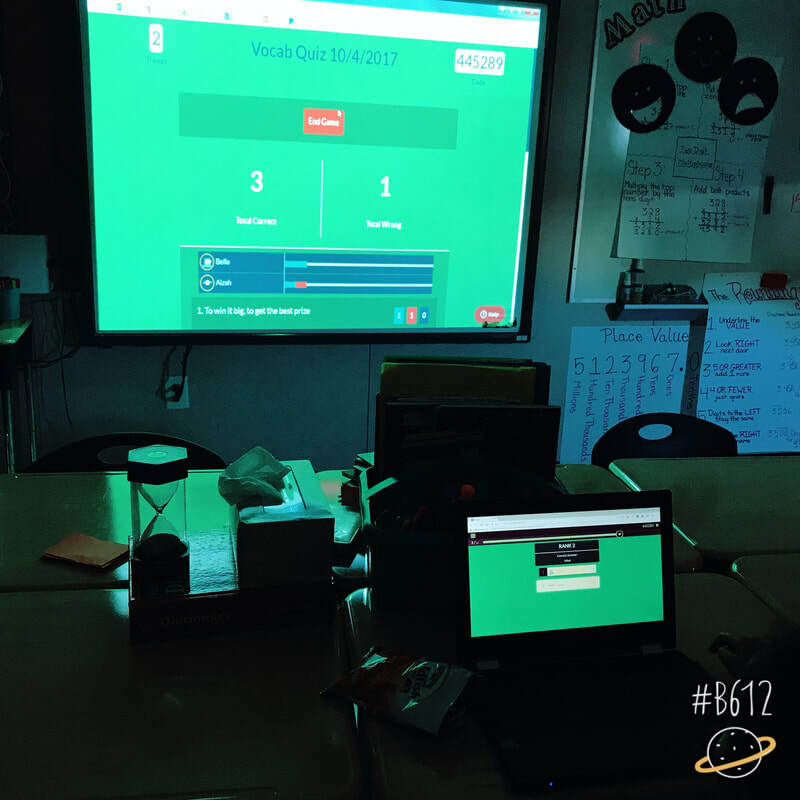 "A quick, competitive vocabulary review using Quizziz!" "Created different cloud forms out of cotton balls." "Students research 8 distinct human body systems, then choose 3 to become experts about. They draw life size outline of themselves and then draw and label the parts of the 3 systems. Also research functions of each system and surprising facts. " 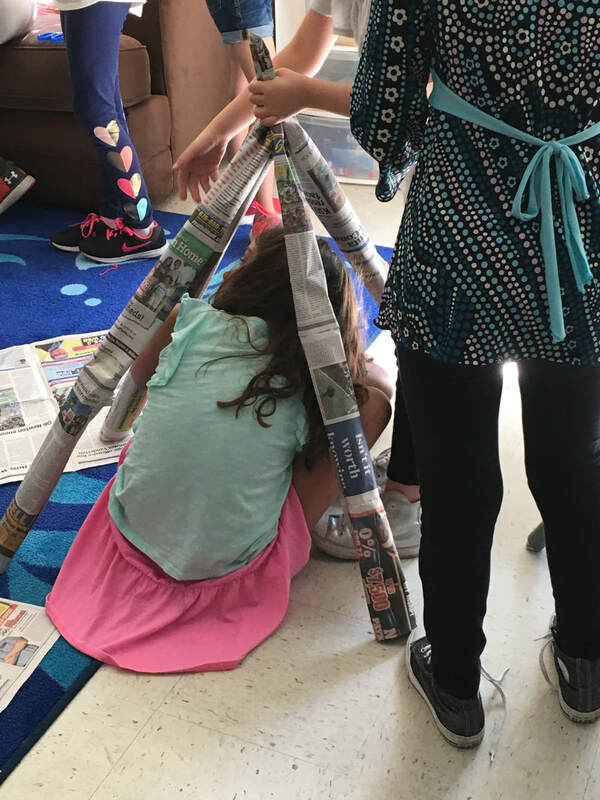 "​After learning about the Plains Indians, students had to design and build a teepee using the given materials that at least one team member can fit in." 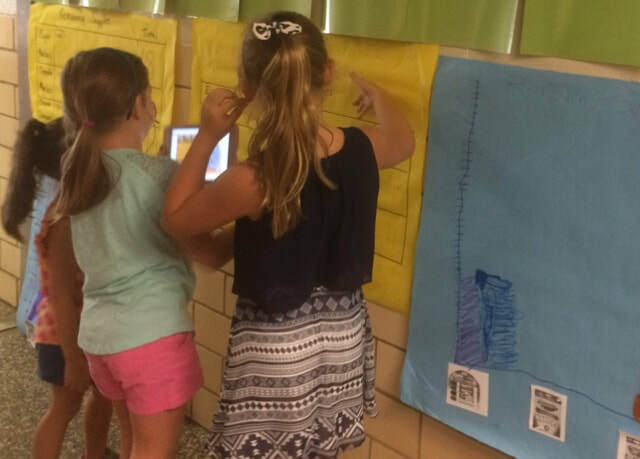 ​"After learning about multiplication arrays, students explored our school searching for arrays. 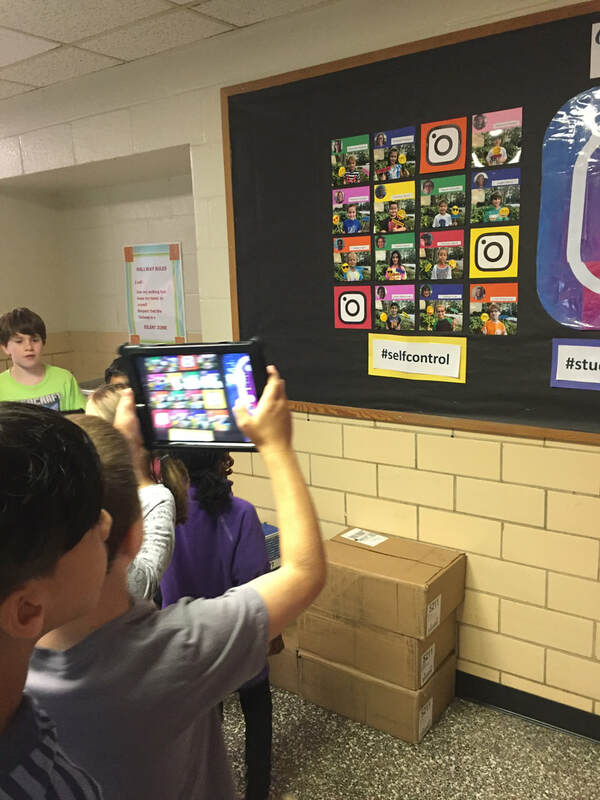 Students used IPads to take photos and created slideshows using the Show Me app." 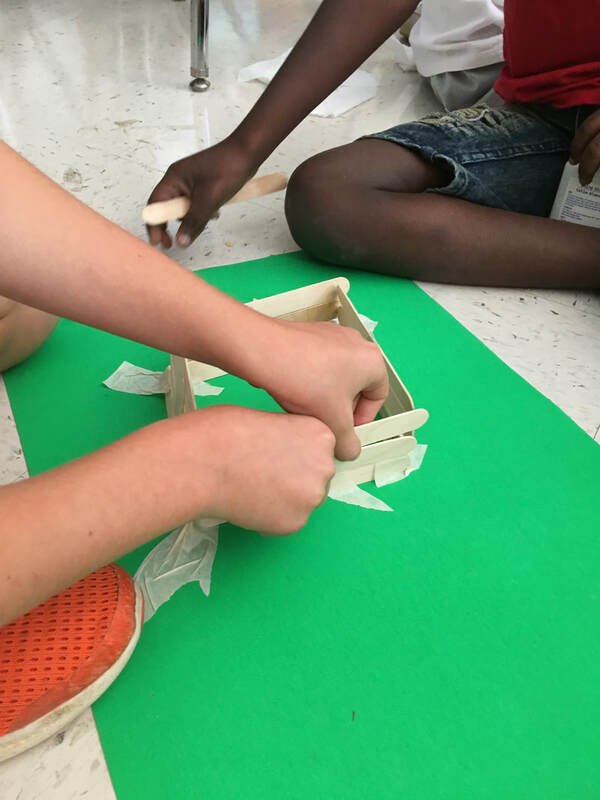 ​"Students used the engineering and design process to make Plank Houses similar to those the Pacific Northwest tribes built." 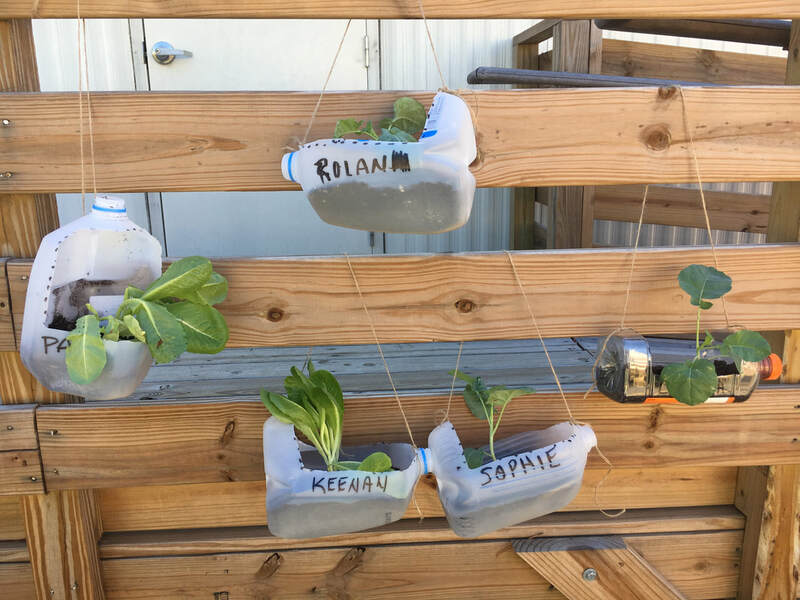 "Container gardens made out of recycled milk jugs and other juice containers planting broccoli and romaine lettuce for each class at Oak Grove Elementary School." 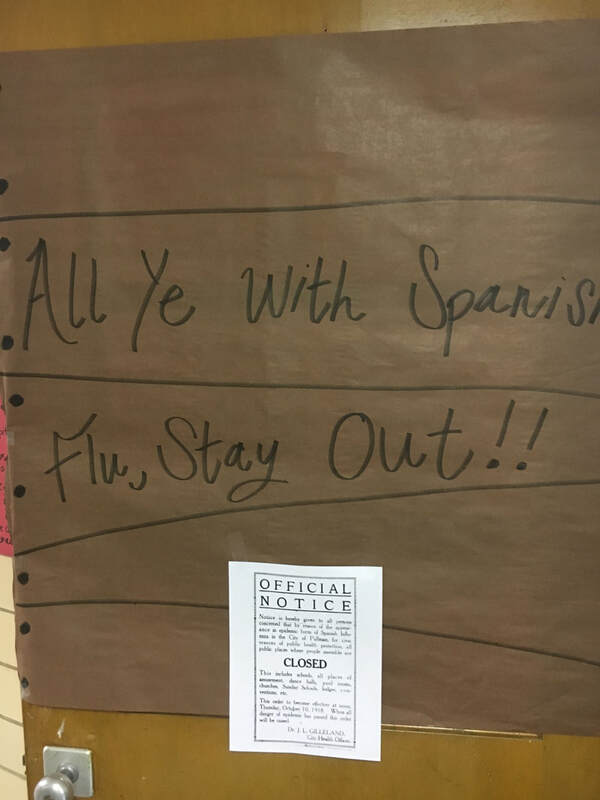 "We used the 1918 outbreak of Spanish Flu to learn fractions. Included a detailed history of the flu’s origin and spread. " 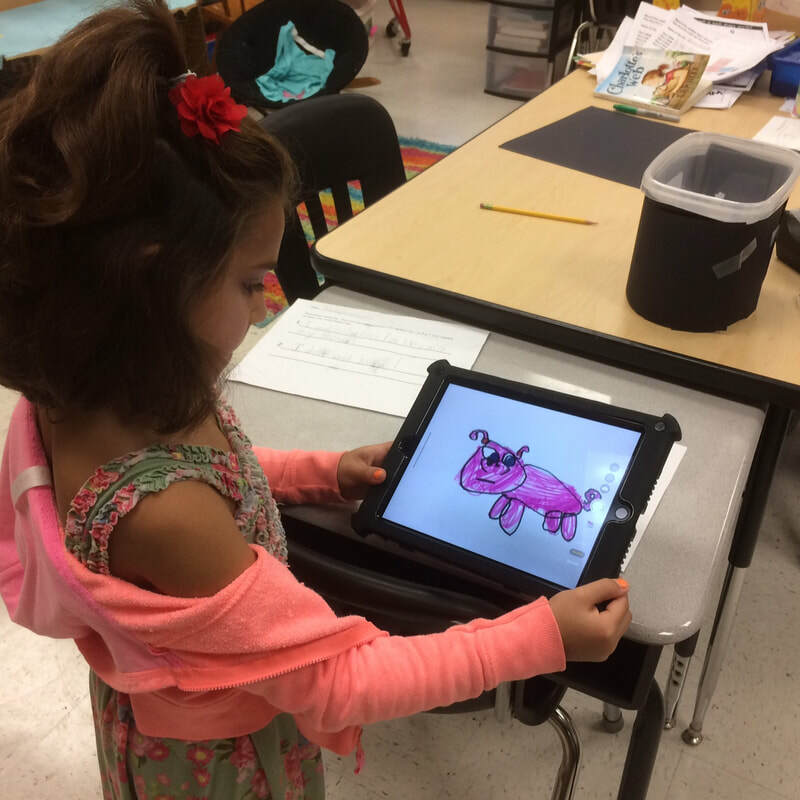 "Students use Pebblego to research facts about American symbols and patriotism." 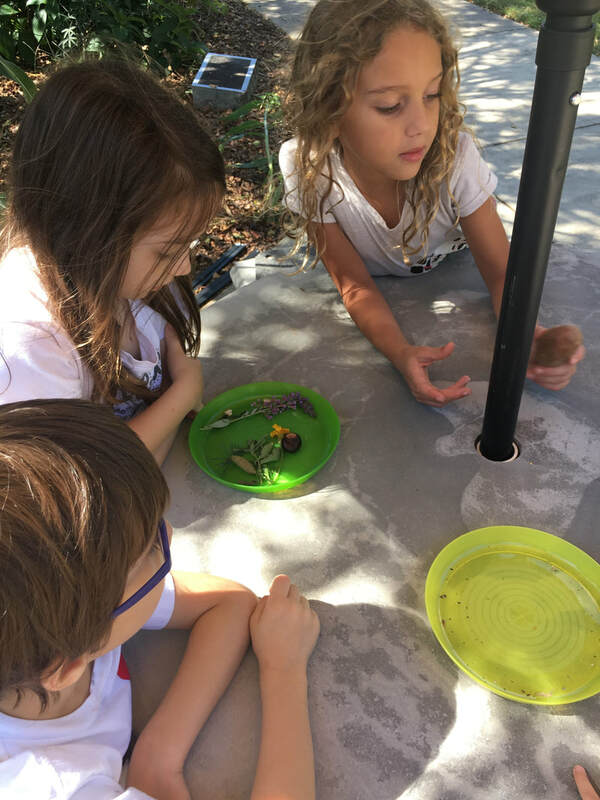 ​"In the outdoor classroom exploring living and non living objects. We sorted and classified the different objects." "Students used ChatterPix to respond to literature. We're reading aloud Charlotte's Web. Students drew a picture of Wilbur, and wrote 2 sentences that he'd say. Students then brought these into Chatterpix to make Wilbur talk, then we imported into Seesaw to share with parents." "Bolsen’s class is studying animal adaptations. 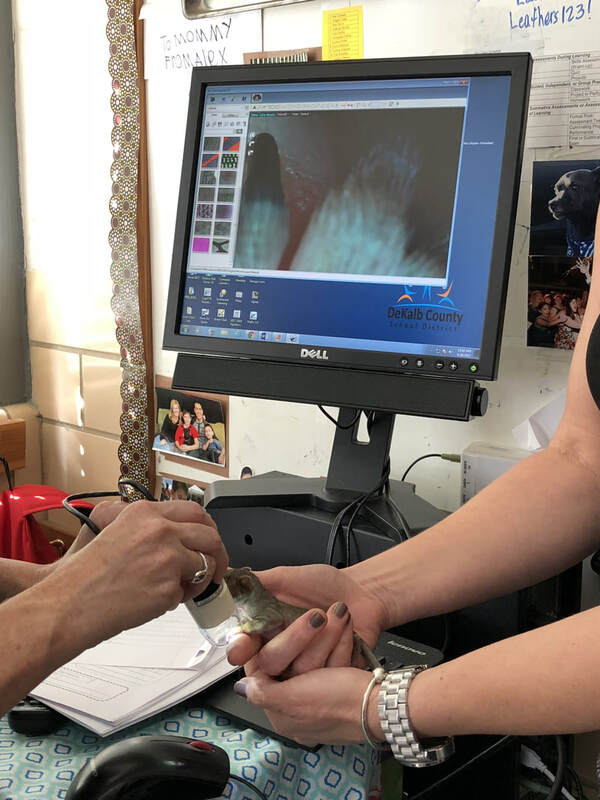 We viewed baby squirrels fur and claws under the Dino Scope." 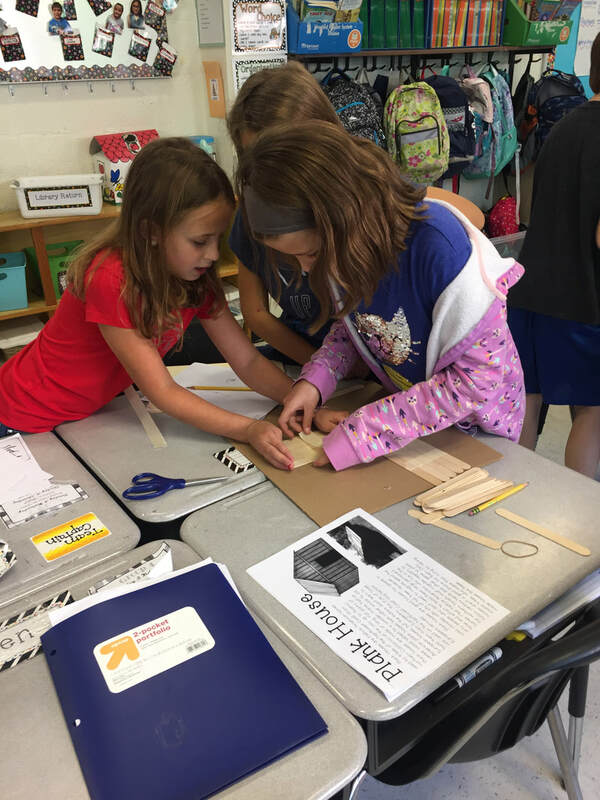 "​Can you design and build a plank house? (NW Indians)"
"Students use Dekalb County Chromebooks to practice ten frame skills in a center with GregTangMath.com"
"Experts from Emory's Herbarium showed the kids how to select, identify, and mount plant specimens. 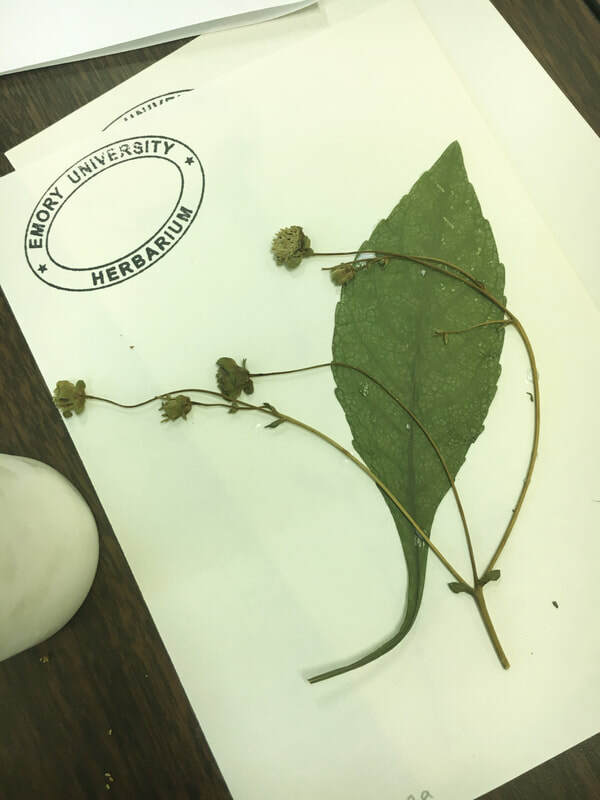 Emory is helping Oak Grove develop its own herbarium!" "Kicking off Lego We Do with exploratory activity." 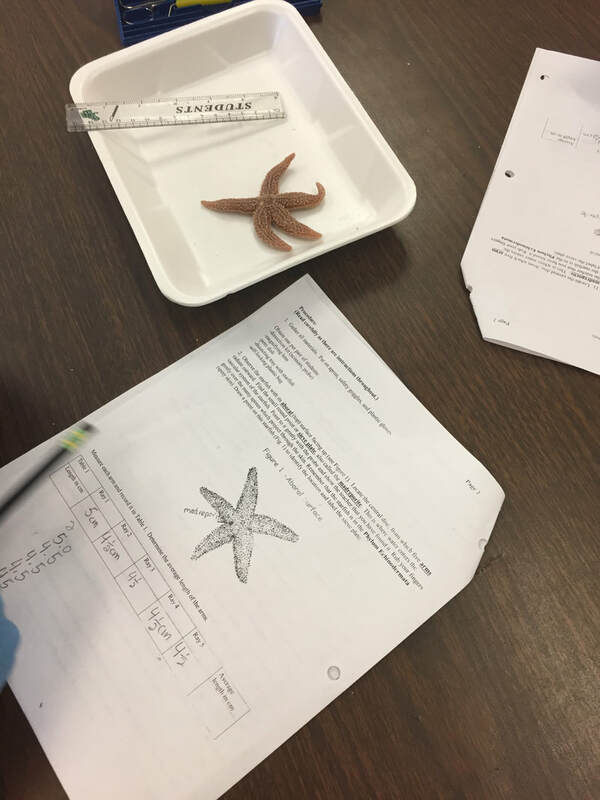 "Pre-lab research, starfish dissection with Math, and post-lab analysis and reflection. " "We read Monsters Under Bridges by Rachel Coddington. 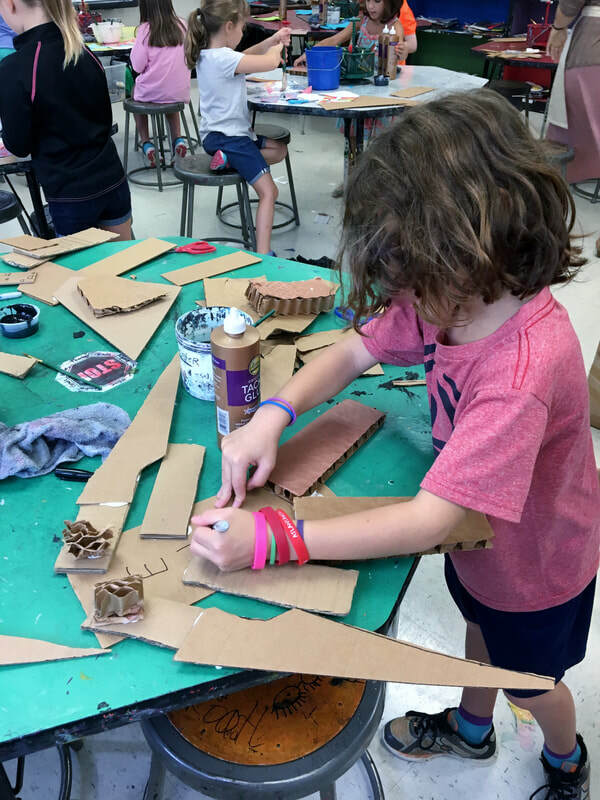 Students were allowed to use 10 or less pieces of cardboard to create their own monster that lives under the bridge. They were not allowed to cut anything." "To help us learn about adaptations, parent (former science teacher) helped us with a lesson on how peppered moths adapted to fit the changing environment during the Industrial Revolution. Students explored how peppered moths used camouflage to blend in with lichen on trees but gradually changed to all black once trees were covered with soot from factories. They graphed data for pre and post Industrial Revolution and predicted how many moths adapted back to a cleaner, natural environment once standards were in place to cut down on air pollution." "We completed our first class Lego robotics lesson with Mrs. Brown and Mr, McCarthy. 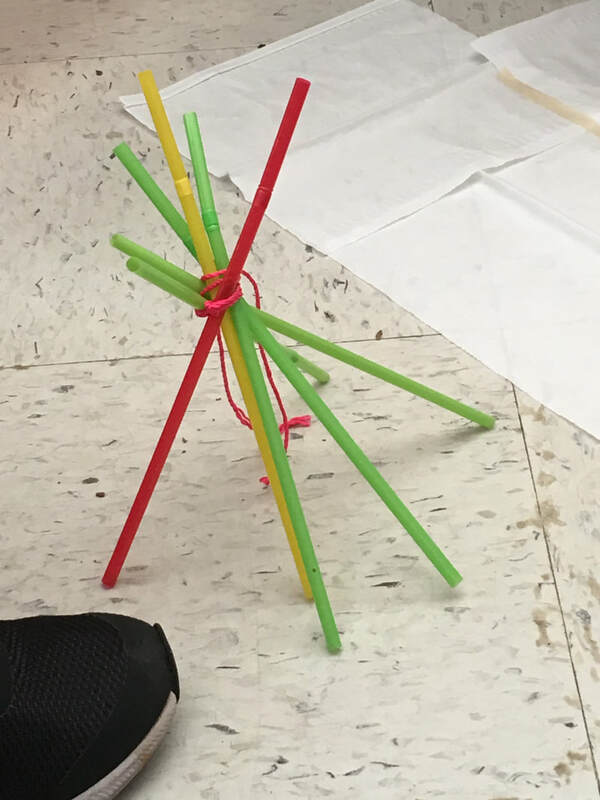 The students built a Rover Bot with their partner." "Scavenging for plant adaptations in the Learning Garden." 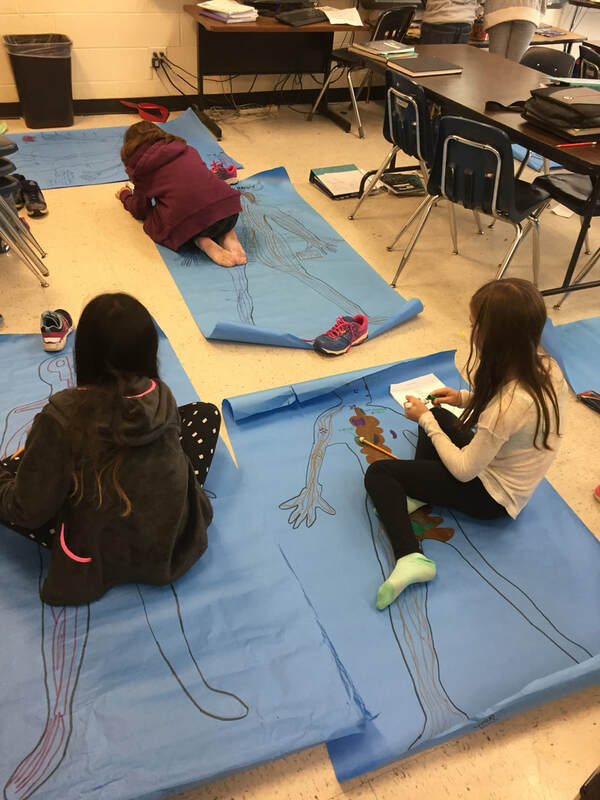 "Students worked in groups and used their bodies to represent water molecules in three states of matter. 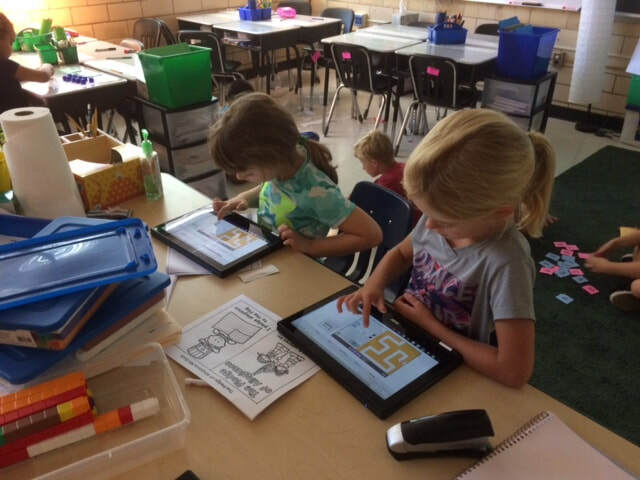 They used Seesaw to voice record a description." 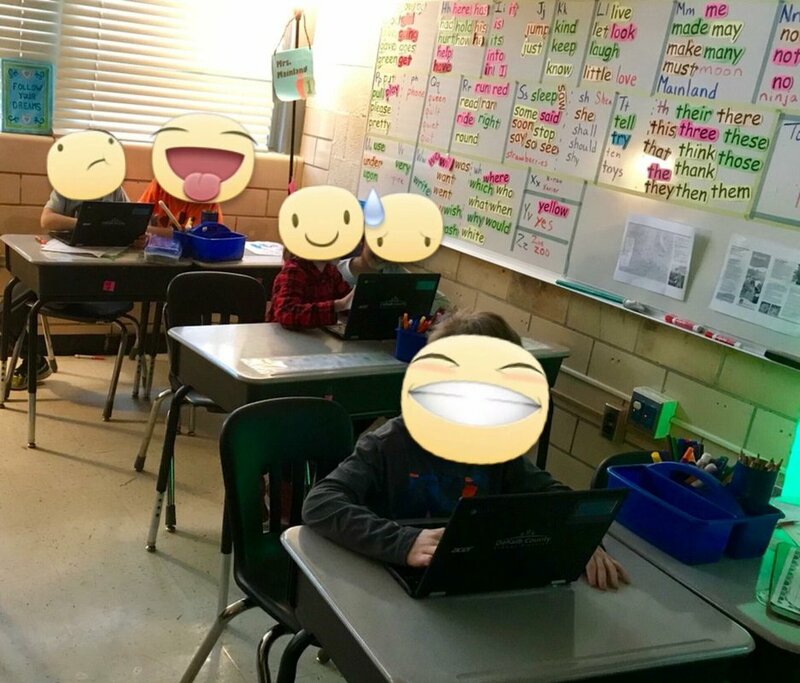 "Students created tally charts and graphs of the remaining supplies and then took a photo with Seesaw and added a voice description of their findings." "Students learned about the different types of eclipses and chose to make a model of one type. The sun, moon, and earth had to be appropriate in size." 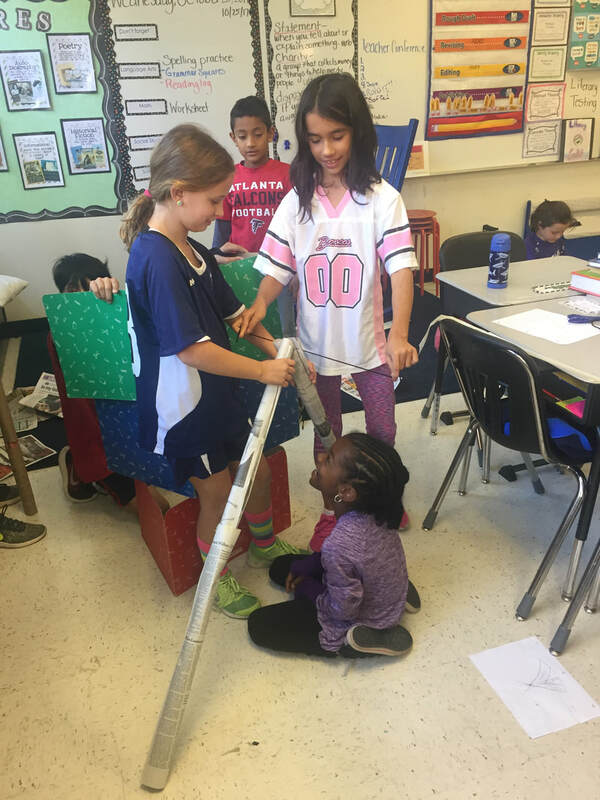 "Third grade project: Create a model representing the solar eclipse. The sizes of the Sun, Moon and Earth should be appropriate." "Students made pinhole viewers out of cereal boxes for the solar eclipse." "We found the distances between earth , sun, and moon, and also size differences among earth, sun, and moon. Discovered why the tiny moon will cover the huge sun during the eclipse. Quick review of circles, diameter, and radius to ensure sizes were correct to scale." "We watched Mysteryscience.com. "Why are people making such a big deal about the solar eclipse?" We painted on transparencies with acrylic paint. Students included the sun and the moon during the eclipse phase. We will hang them in the front lobby windows." August 7, First day of school. "Students are sorting and counting school supplies at the beginning of the year. They take photos of the supplies with ipads to use in a brochure they will make."